The book is laid out in a series of 26 short four to twelve page stories. Each looking at a different topic. These span the spectrum from Live Action Films to Disneyland to more off beat topics like CalArts or Bowling in the Rockies. The last third of the book is devoted mostly to World’s Fair. The “science factual” shows, several of the Tomorrowland shows for the Disneyland series, also receive several chapters and a more in depth discussion as America entered the Space Race. 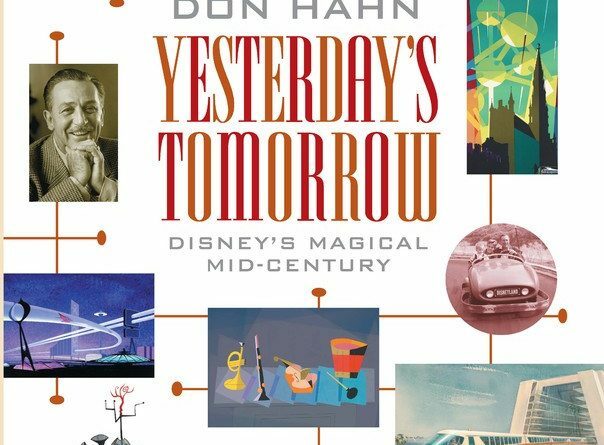 Don Hahn worked closely with several archives including the Walt Disney Archives, Walt Disney Photo Archives, Walt Disney Imagineering, and the Animation Research Library plus the Walt Disney Family Museum to assemble this book and has included a concept art and photographs for every chapter and in many cases these utilize the large format of the book to be presented bigger than traditional books. I found this to be a quick read with some interesting tidbits of information scattered throughout the stories. The number of interesting photos and artwork did cause me to slow down and spent some time enjoying them. 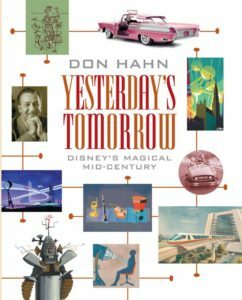 If you are looking to learn a little more about the Walt Disney Company during the 50/60s or to enjoy some great photos and artwork from the time period this book should be on your list to consider. It is not an exhaustive or in depth piece like Ink & Paint: The Women of Walt Disney’s Animation but it provides some historical context and Disney history.